Origin Unknown. Origin Unknown. 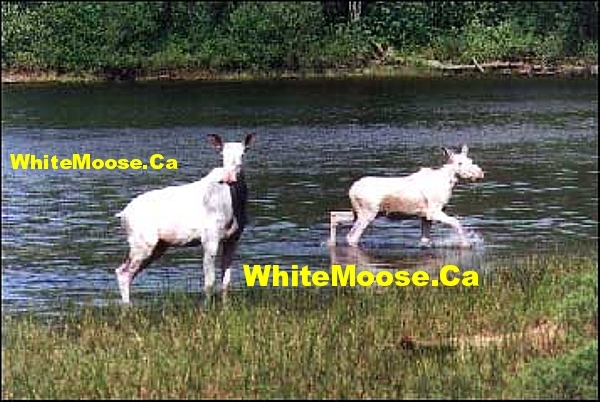 White Cow and Calf from the Foleyet Area. 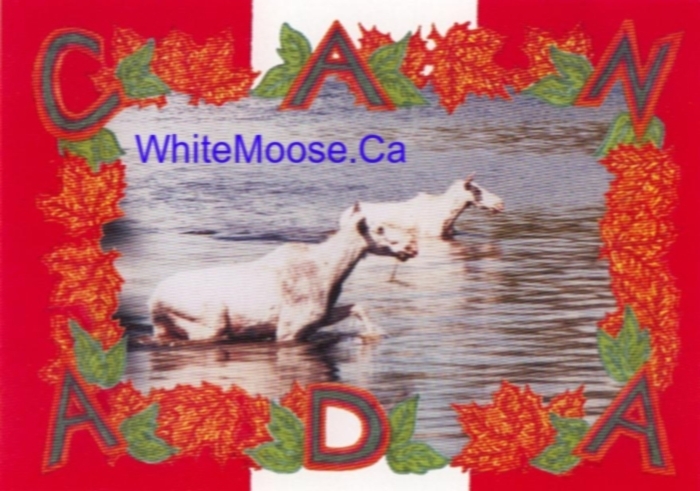 2 White Moose swimming in the water, with a boat in the background. Foleyet Area. 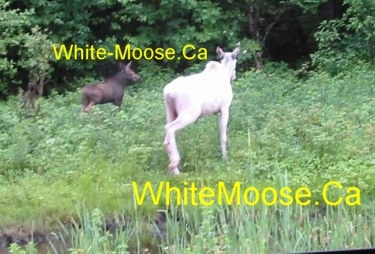 Two nice "Armstrong" strain White Moose. Foleyet Area. Cow and yearling. Foleyet Area. 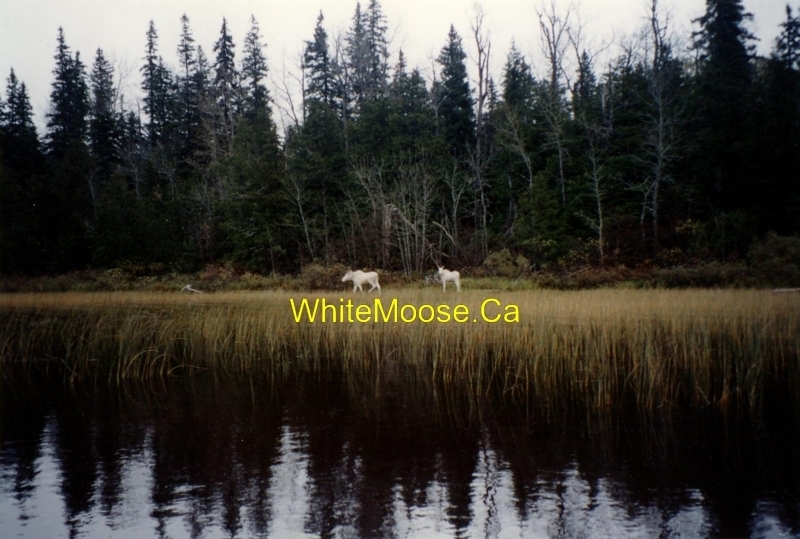 White Moose in the Foleyet Area, spring months. 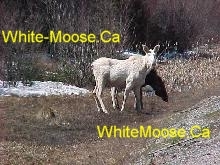 This cow is more like a piebald than a White Moose. However, for financial and genetic testing reasons (because its an Armstrong strain), a live capture would be best. 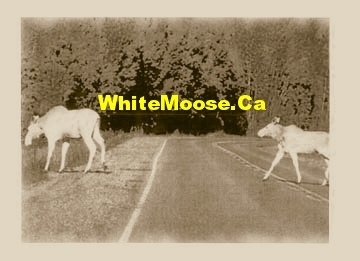 White Cow with a brown calf. Foleyet Area. 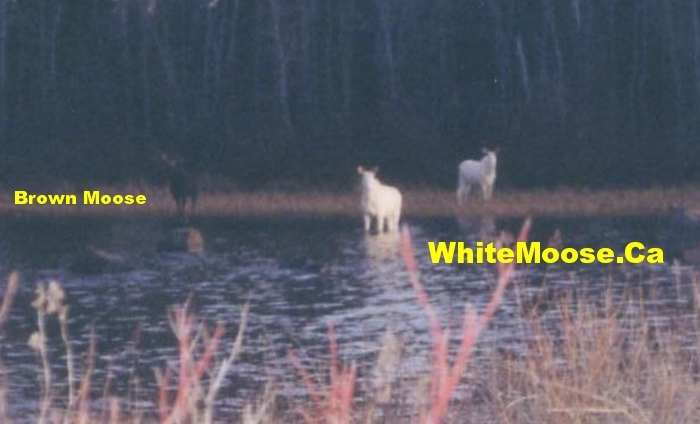 White Cow. Foleyet Area. 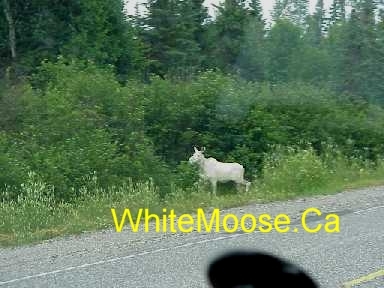 White Moose in the Foleyet Area. 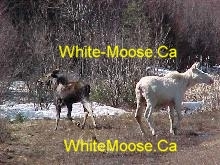 Notice the darkness on the rear legs. 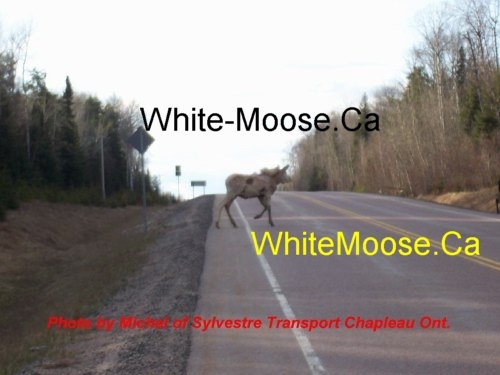 White Moose in the Foleyet Area. Notice the dark nose. 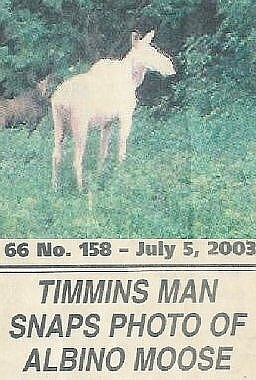 Clearly not an albino. Dark calf hidden behind the bush, to the left of the cow. 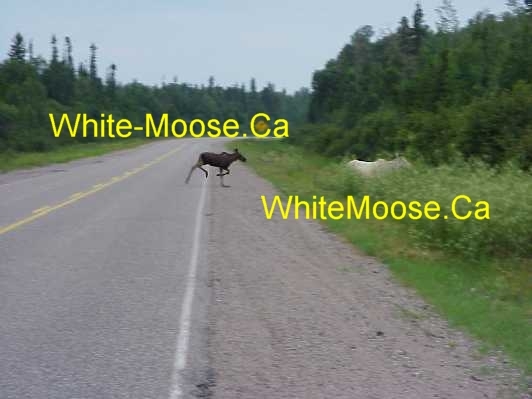 Two White Moose with a brown one. Foleyet Area. 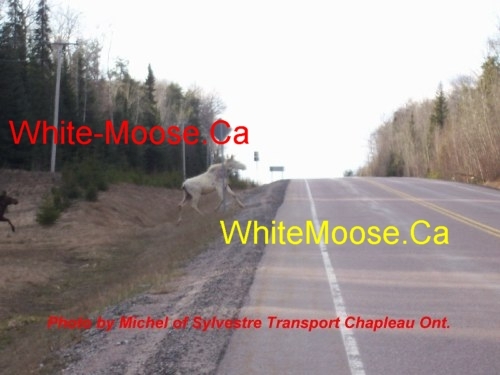 Do you recognize the moose on the left? 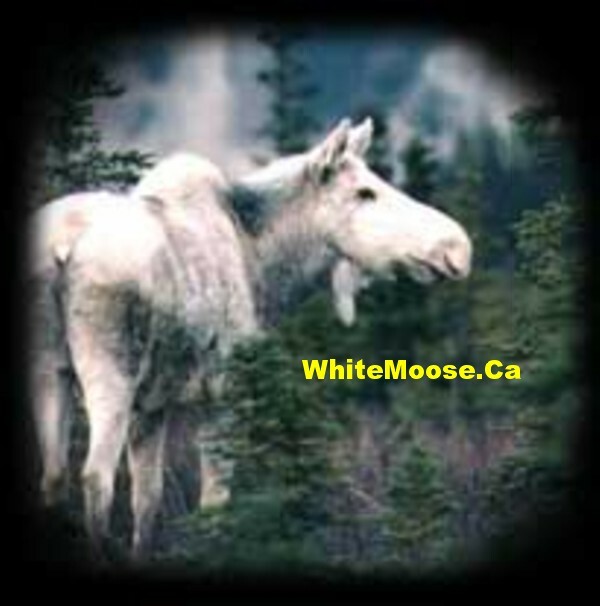 White Moose. Foleyet Area. 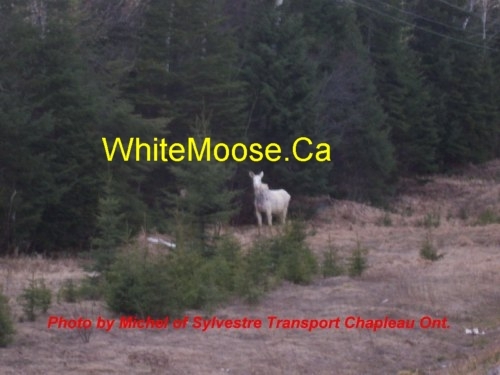 White Cow in the Foleyet Area. 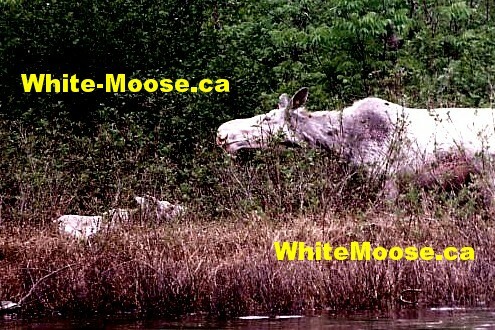 Notice the calf chasing her... White Moose in the Foleyet Area. Notice the dark spot, approximately 2 feet by 2 feet on the rump area. 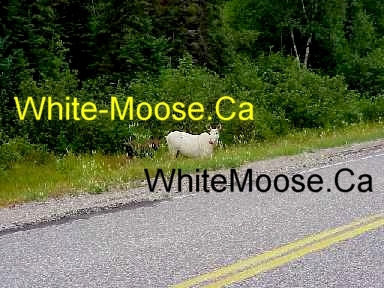 This is likely the moose spotted by C. Elliot on 8-13-2004. 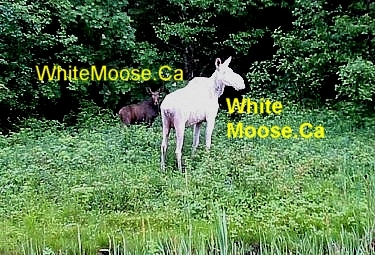 2 white moose and one dark one. Foleyet Area. 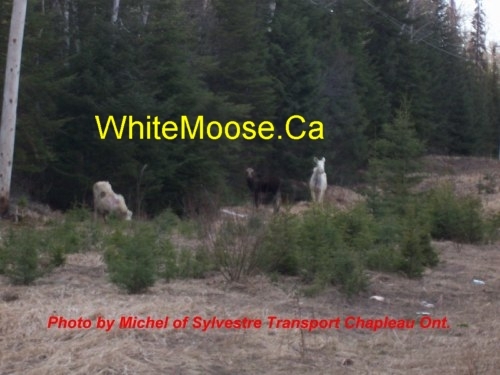 Likely the same group as was photographed beside. Origin Unknown. 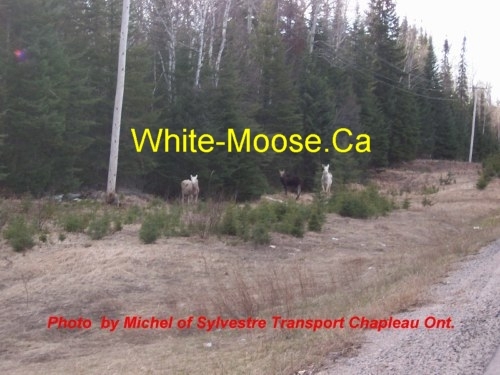 Cow, Yearling, and Calf. Foleyet Area. Likely the same pair as viewed to the side. 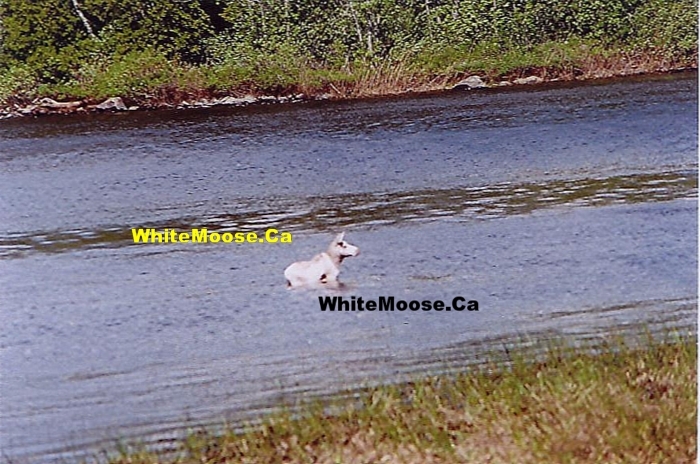 White Moose from the Foleyet Area. Not completely accurate. 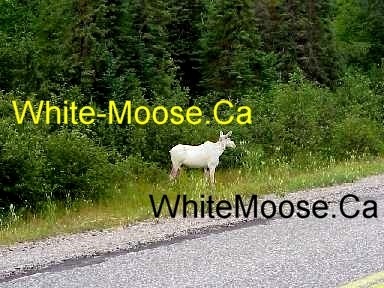 White, not Albino. But close enough. 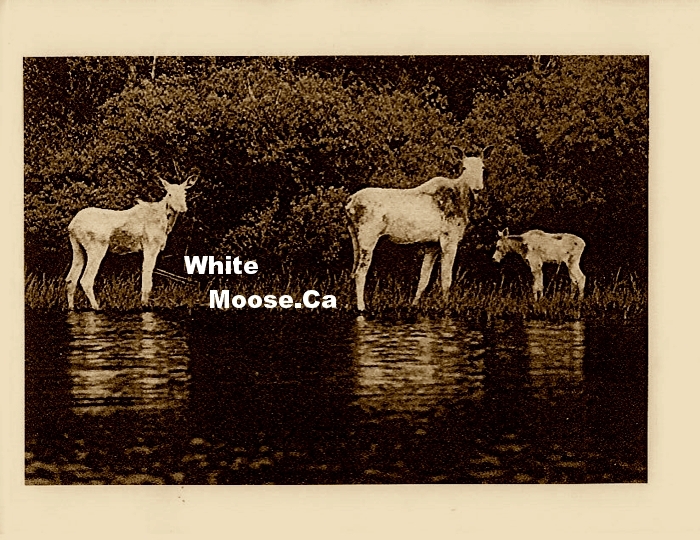 Family Unit of White Moose. Foleyet. Artwork done by Chantal Rondeau. 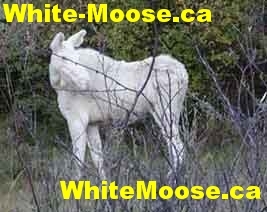 A White Calf in the Foleyet Area, not too far from mom ..